Representative Justin Amash (R., Mich.) has once again introduced the Export-Import Bank Termination Act, which would abolish the crony-capitalist institution within three years. 40 percent of its activities benefit one massive company, Boeing. That’s almost twice as much money as it sends to small businesses. 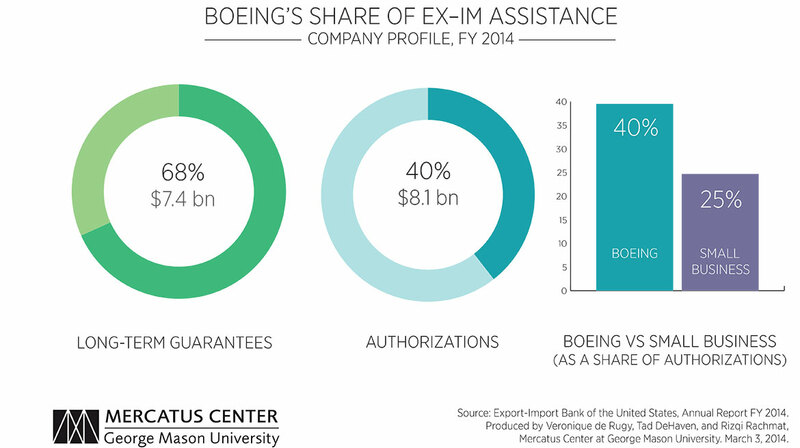 Almost two-thirds of Ex-Im’s money goes to just ten giant U.S. companies, including Boeing, GE, and Caterpillar. 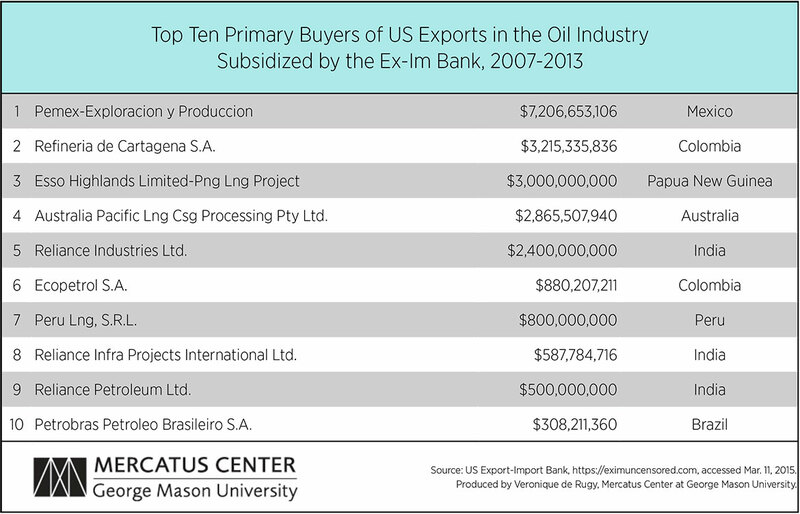 The top beneficiary of Ex-Im abroad is Pemex, a Mexican government state owned oil and gas company. Even as the Obama administration does everything it can to penalize U.S. oil and gas companies, Ex-Im is extending cheap credit ($7 billion over 7 years) to Mexico’s state-owned oil and gas conglomerate. And that’s not unusual: 20 percent of Ex-Im’s activities benefit foreign oil and gas companies. 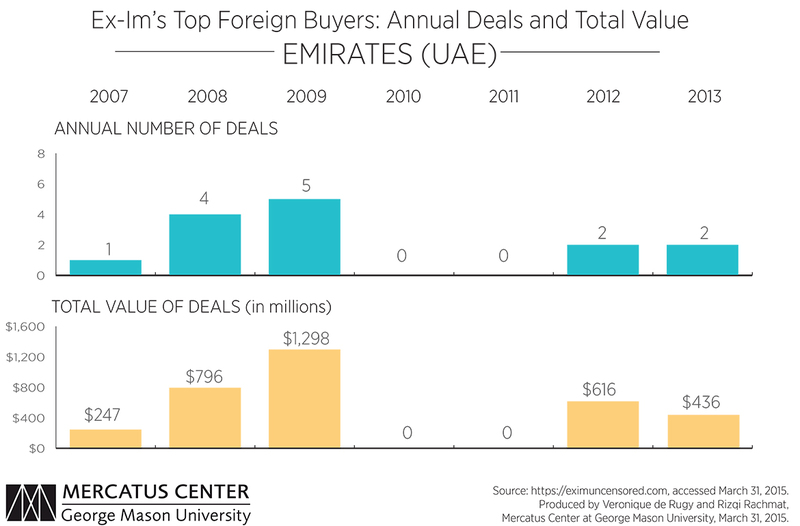 In the list of Ex-Im’s top ten foreign beneficiaries we also find several rich, state-owned airlines, including Emirates and Air India. 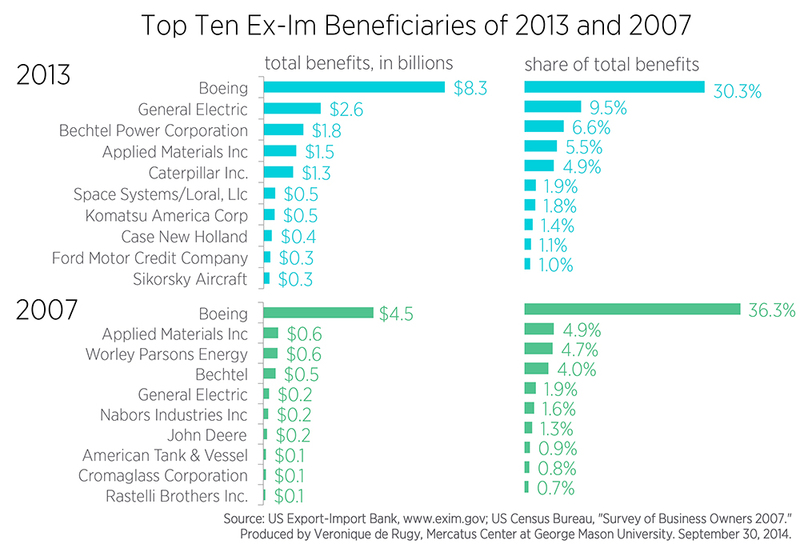 Over 50 percent of Ex-Im money benefits foreign airlines, which then compete unfairly with America’s domestic airlines. 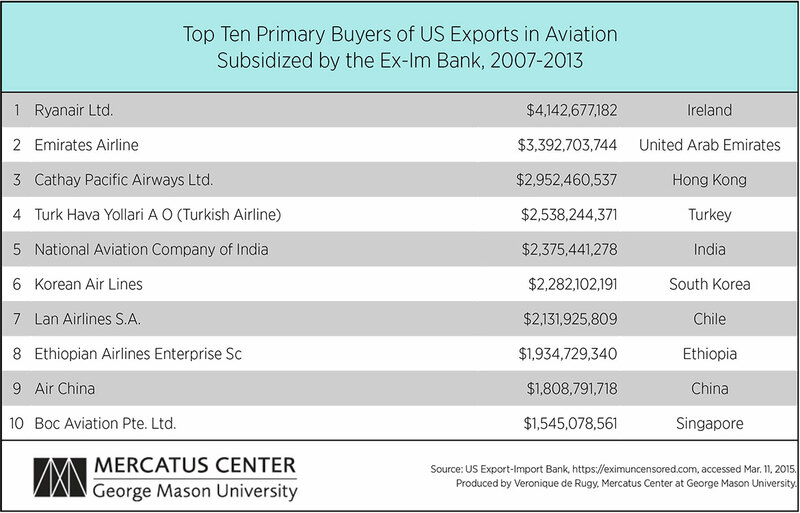 The data shows that the foreign airlines who are recipients of Ex-Im’s cheap loans could in most cases get credit and find lenders without an Ex-Im guarantee, could afford to buy planes without the subsidies, and do not decide to buy a plane based on the existence of the subsidies. 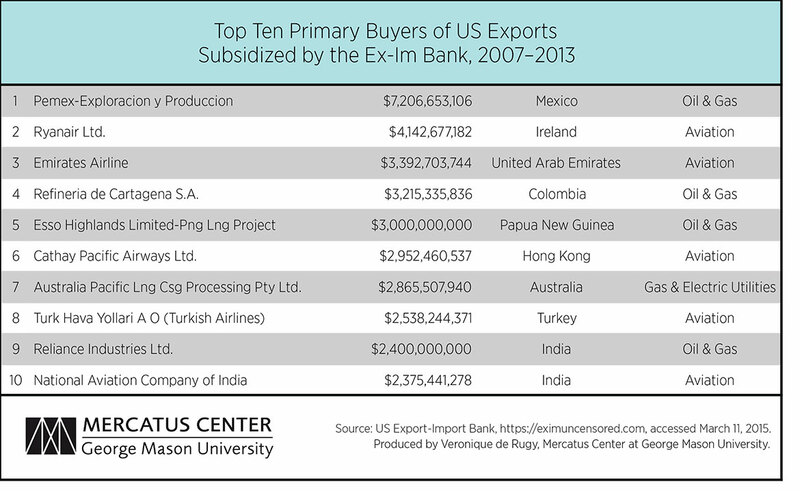 Five of the top ten recipients of Ex-Im’s cheap loans are state-owned companies. Only 16 percent of Ex-Im’s activities are justified as overcoming a lack of capital. Only 30 percent of the bank’s activities are justified as countervailing foreign subsidies. 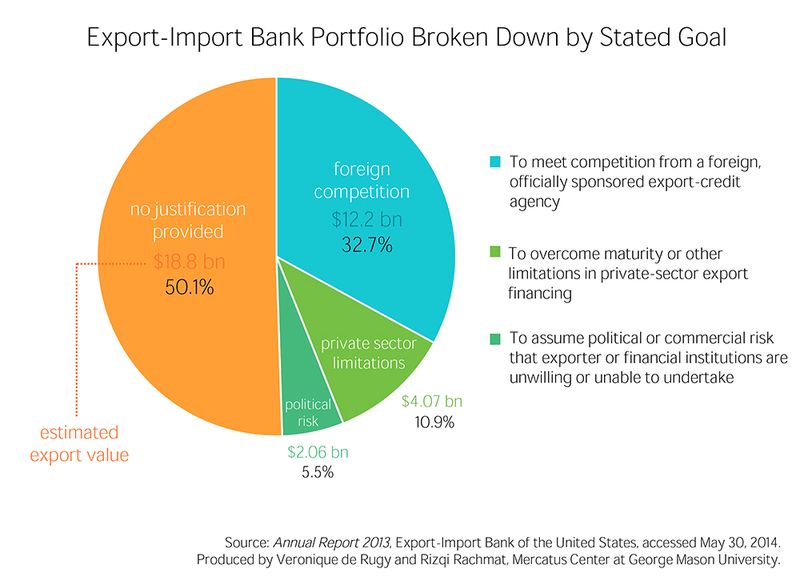 Ex-Im’s activities fuel unfair competition for many U.S companies and 189 U.S. industries. 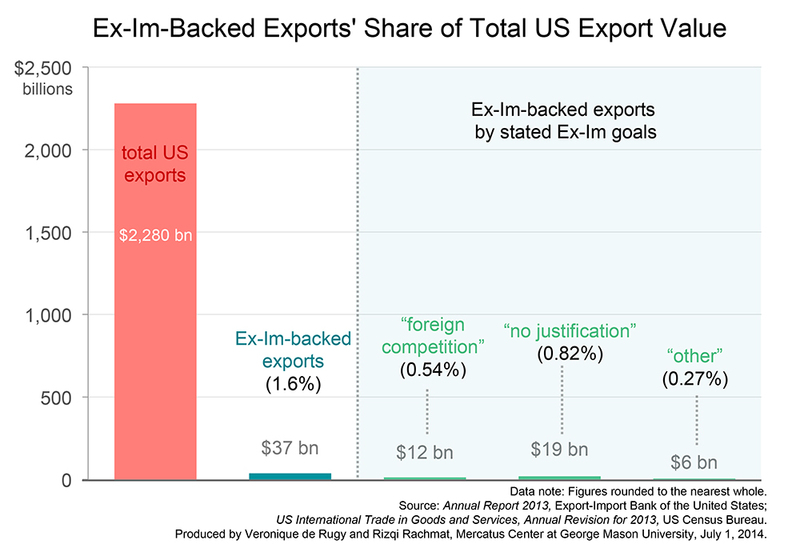 Ex-Im plays a role in less than 2 percent of U.S exports. Ex-Im does not create jobs by unfairly transferring resources from unsubsidized firms to subsidized ones. I could go on and on. The bottom line is that Ex-Im needs to be terminated.